An up-close look at one of Alaska's largest and most interesting creatures. 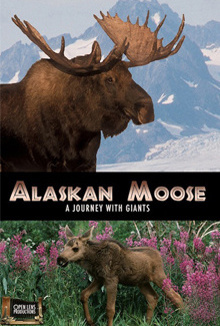 Journey to Alaska’s Denali National Park, land of the giant moose. This mesmerizing cinematic experience brings you a close-up look at the lives of moose in the vast wilderness of the far north. From new born calves taking their first steps to seasoned bulls sparring for mates, ALASKAN MOOSE is a celebration of these amazing animals.